Romance and Adventure! King Richard the Lion-Hearted. . . Robin Hood. . . the fair princess Rowena. . . the bewitching Rebecca. 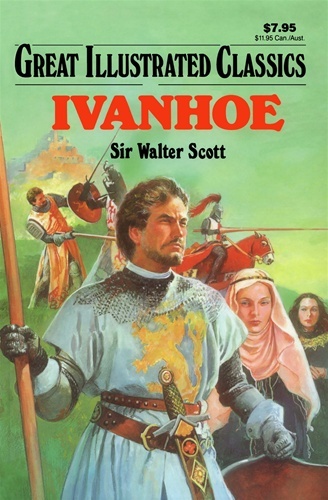 . . and the most gallant, fearless knight of all, Ivanhoe.. . these are a few of the unforgettable characters you will meet in these pages! It is a dangerous time in England when a power-hungry king and cruel, ruthless lords battle and bring bloodshed and suffering to the land. No one knows who to trust, least of all the young knight, Ivanhoe, returning home disowned, and dishonored. He must fight for his name, his rights, his people, and the woman he loves!